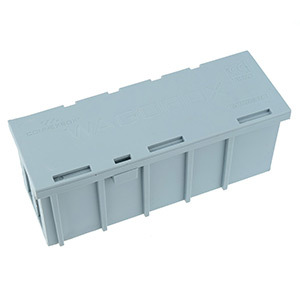 The Wagobox from Wago is a multipurpose electrical junction enclosure that has been designed for use with the Wago 222 and 773 series terminal blocks. Wagobox is easier to use, quicker to fit and more configurable than any other junction box of its size. It is the first of its type and redefines the standard for general purpose domestic and commercial junction boxes.